Between Jack and myself, we now have a healthy collection of various stoves, and each type comes with its benefits and weaknesses. To investigate some our stoves characteristics, Jack and I have entered the pseudo-science realm of timed water boiling test. We just added some videos on alcohol stoves and wood stoves. You can check out our playlist here: Stove Test. Perhaps in the future we will have additional post covering other types of stoves (there are plenty more! ), but right now we have no experience and could provide little in the way of valuable insight. I am the one with the alcohol stoves (Trail Designs 12-10 and Zelph Starlyte) thanks to Jack getting me 2 for a birthday present. 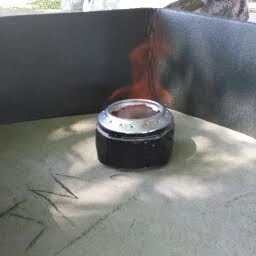 Plus, I’ve made more than a few stoves out of Monster cans that turned out less than desirable. 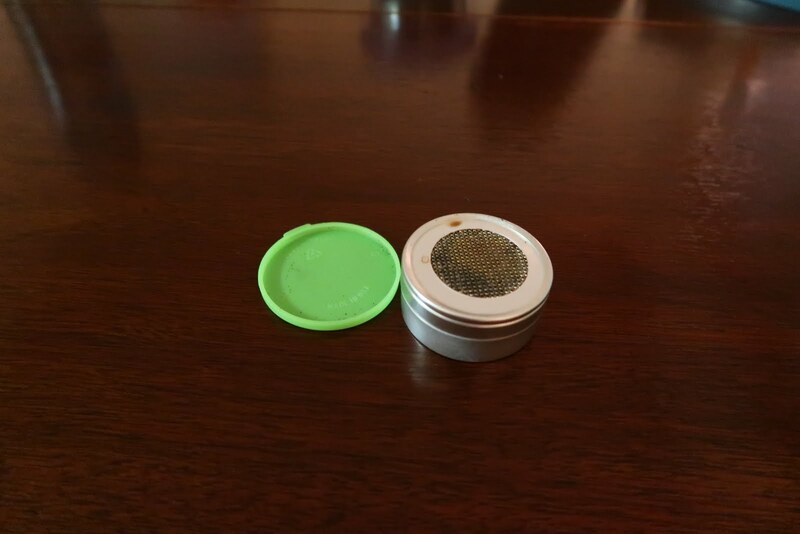 Through our initial testing and limited field experience, alcohol stoves are a little slower at boiling water because of the time needed for alcohol to start vaporizing and are significantly affected by the wind. Alcohol stoves are an extremely lightweight option and the fuel becomes lighter every meal as you burn your way through that alcohol. These stoves can be slow to fully light and some might even require priming (a small amount of alcohol is boiled below the stove) before they produce maximum heat. Additionally, alcohol stoves are low maintenance with no moving parts, but skillful use requires experience. Before using your stove take to experiment with the amount of fuel required to boil various amounts of water. Alcohol stoves can be powered by multiple fuel sources, but the most common is denatured alcohol, which is easily found around the U.S and cheap. Finally, an important safety consideration: alcohol burns silent and colorless, so be careful not to get burned and never reach over the stove. The same with alcohol stoves, I also have the wood stoves (BioLite and Sidewinder) again thanks to other people who have gifted them to me. Plus the BioLite. 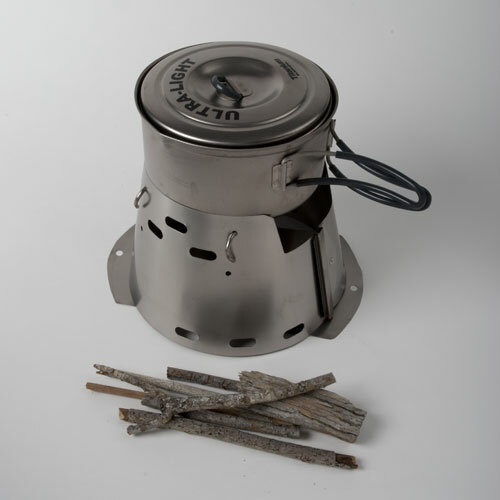 Through our initial testing and field experience, this type of stove is pretty quick to boil, is mostly protected from the wind because of design, and requires you to continually add more fuel. Furthermore, wood stoves are fairly easy to create in your garage so do some experimenting. Finally, I prefer wood stoves when I am car camping, which also allows me to bring all the sticks I need. 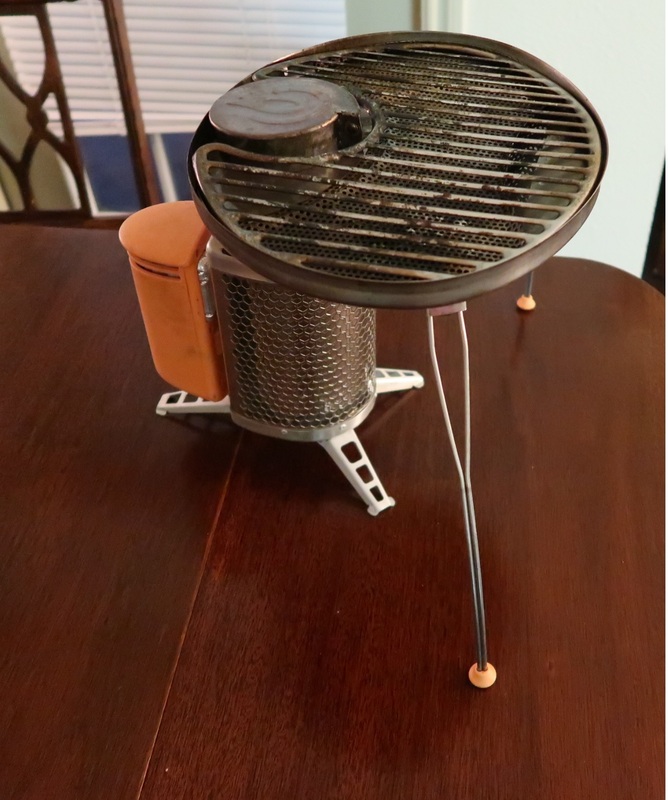 The BioLite has a pretty neat grill that makes nice hamburgers and hot dogs, but I would never try backpacking with all that additional weight. Wood stoves are a little bit heavier than other types of stoves, but do not require carrying fuel; however, this does not always work out in practice and you may need to pick up sticks as you hike to ensure you have enough fuel at the end of the day. Wood stoves are low maintenance with no parts, you just need to occasionally wipe them clean. However, there is a need for skill and experience in how to properly light a wood stove, how much fuel you need to gather, and how often fuel is added. Also, be aware that wood stoves can be really smoky, which smoke in the eyes is never fun. Finally, wood stoves generally have more regulations regarding open fires and how/if you can pick up sticks in the area. 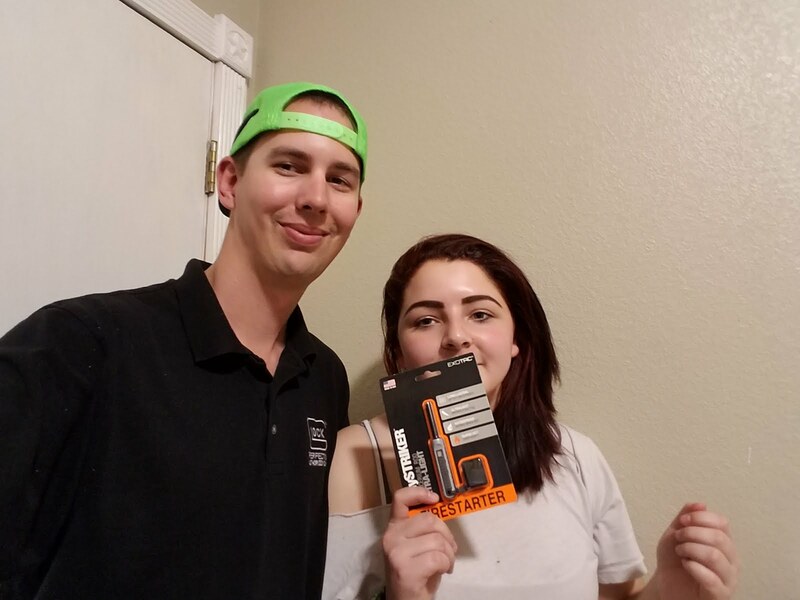 Team Adventures with BeeGee would like to congratulate Laynie D. for winning our Exotec Polystriker Firestarter and a big thank you to everyone who joined the giveaway. 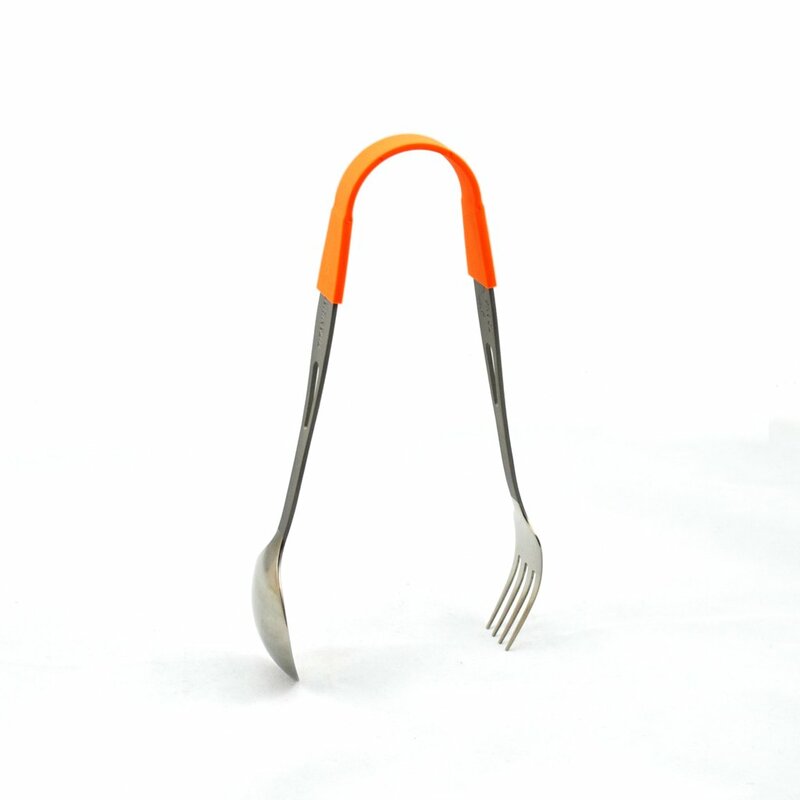 For the month of December, we are giving away a Toaks TiTongs Set, which is a titanium spoon and fork with a nylon connector that turns the utensils into a set of tongs. a Rafflecopter giveaway Go ahead and let us know about your go-to stove or that dream stove you’d love to have one day. Also, if you like the blog follow us on Facebook to keep up to date. Thanks, I appreciate the read. 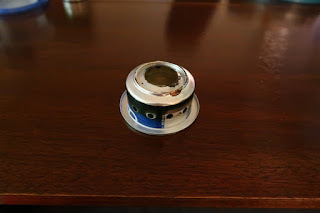 My wife and I have come to love a wood/alcohol hybrid approach: we have been using a soda can stove with a Vargo woodstove, which acts as the windscreen, and just recently we upgraded the soda can stove to a titanium Vargo "converter" that hangs inside the woodstove. With this approach, we can burn wood when possible, and have the alcohol for backup. We have a lot of burn bans out here in Washington, and the wood stove lets us get a little bit of that campfire joy without the danger. Because nobody wants to be that jerk that burned down the forest. You BarkerBag is on its way! Thanks for taking the time to post on my blog Andy, I really appreciate it. 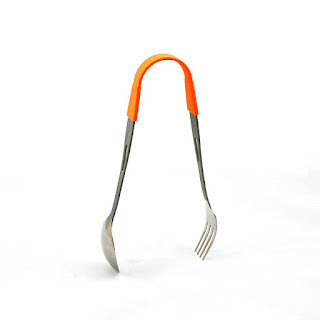 I checked out your Vargo set up and it looks pretty cool. Speaking of jerks burning down forest, I wonder if the recent North Carolina forest fires and arson will work towards banning alcohol and wood stoves. I'm glad to hear the BarkerBag is on its way. BeeGee and I plan on thru-hiking the Lone Star Hiking Trail (130 miles) in March. I will definitely tag BarkerBag on Instagram so everyone can see how awesome the product is. Wood stoves are my top choice!